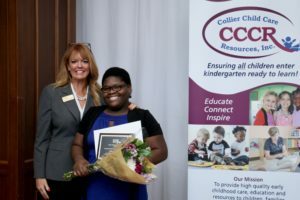 Three early childhood teachers received Teacher of the Year Awards at the annual Apple Blossom Awards on Saturday, April 14th. 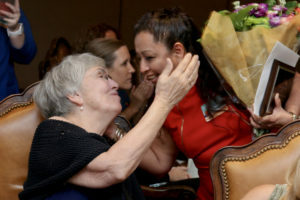 The Apple Blossom Awards honor early childhood teachers who educate and care for children birth to age five, a crucial period in a child’s development. 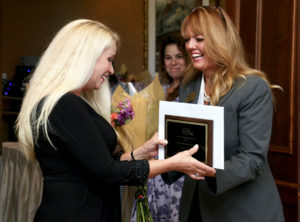 Elma Mejeune, of the Peace Early Learning Center, was named “Infant/Toddler Teacher of the Year”. 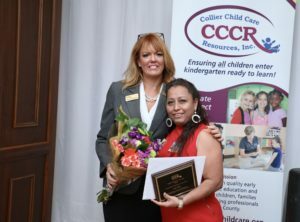 Ana Solis, of the YMCA’s NCEF Early Childhood Development Center, was named the “Preschool Teacher of the Year”. 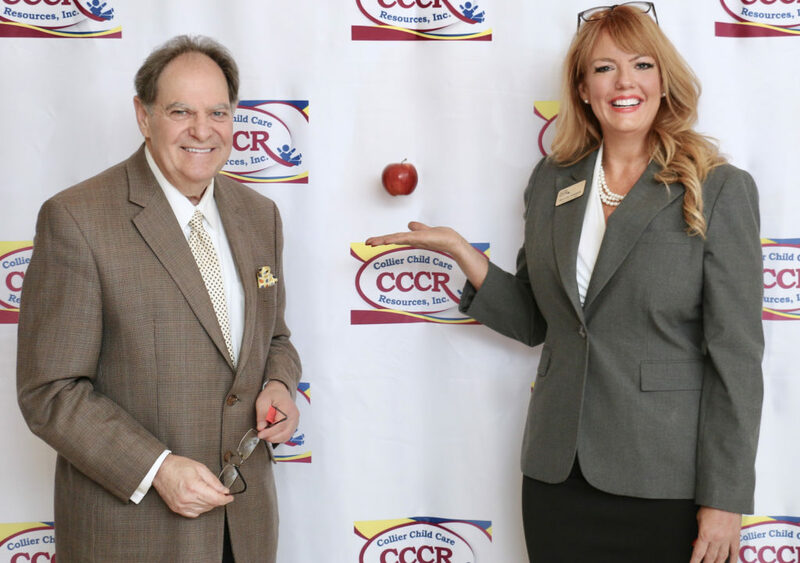 Elena Hardy, of Little Wonders, a CCCR Early Childhood Development Center, was named “CCCR Teacher of the Year”. 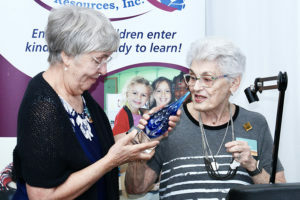 Avery special part of the ceremony was honoring Barbara Mainster with the “Myra Shapiro Early Childhood Leadership Award”. 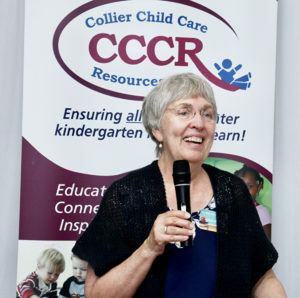 Mainster was recognized for decades of advocacy and activism on behalf of Collier County’s children, particularly farmworkers and their families. 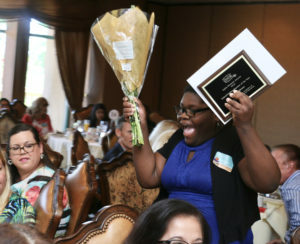 Eighteen nominees were selected and observed in the classroom by members of the Apple Blossom Awards Committee. 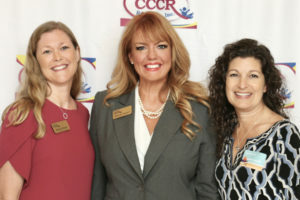 Nominees were evaluated based on eleven criteria, including principles such as “sees strengths in each child” and “manages children on the basis of cooperation, reason, and mutual respect”. 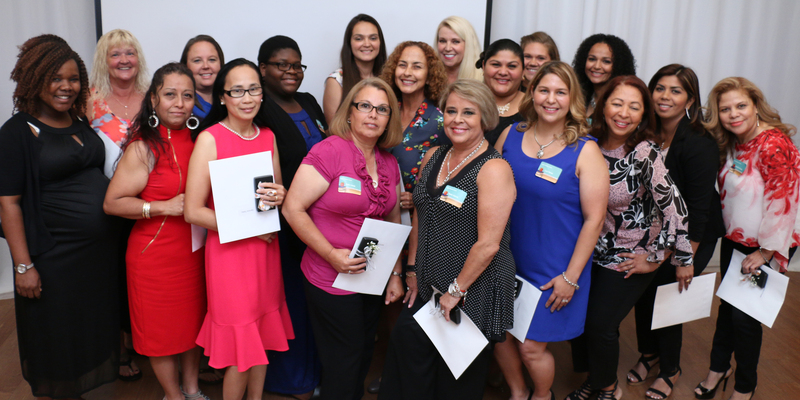 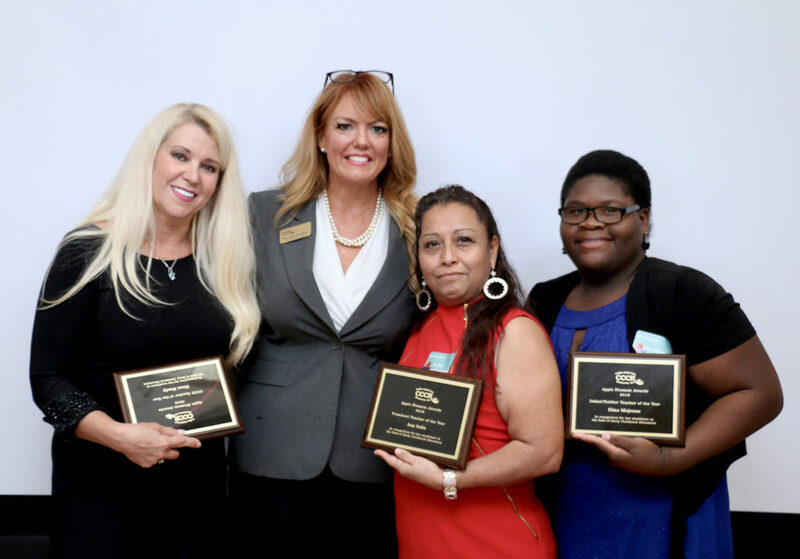 The 2018 nominees were Silvia Magaly Arias, Linessa Barnhart, Soila Conde, Edith Galan, Sonia Garcia, Elena Hardy, Crystal Lanier, Elma Mejeune, Debra Moran, Keshia Parris, Lina Patino, Rachel Perez-Drawdy, Martha Posada, Marcelina Rodriguez, Mollie Skidmore, Ana Solis, Carmen Starkweather, Gemma Tobey.